Katten's Fashion attorneys represent clients from all areas of the $375 billion fashion industry, counseling companies that manufacture, design, market, source and sell lines of clothing, jewelry, accessories and luxury goods. Our team assists clients in preserving their core brand identities while they grow and expand into new markets or consolidate. We advise companies on international expansion and consolidation as well as the production, distribution, advertising, marketing and sale of their products and services. We help our clients keep up with new strategies and business and licensing plans and mitigate issues before they arise. With lawyers fully dedicated to the fashion industry and its unique challenges, we secure, protect and enforce clients’ business names, trademarks, service marks, trade names, brand names, logos, designs, patents, proprietary technology and trade secrets. We also offer assistance with creating an Internet presence, software agreements, contracts with Internet e-signers and providers, disclaimers and copyright notices, copyright protection, consent agreements, photo use policies and sponsorship agreements. Clients turn to us to monitor, enforce and protect against the unauthorized sale of products or use of their property, including addressing domain infringements, false advertising and unfair competition claims. The Fashion attorneys tap into the cumulative knowledge of our intellectual property, licensing and distribution, media, Internet and litigation attorneys. Working both in the United States and internationally, our lawyers perform detailed patent, trademark and ownership searches, prepare and file applications, and maintain an extensive and thorough in-house database and docketing system to ensure that our clients’ intellectual property rights are fiercely guarded. We protect our clients’ rights and help them avoid infringing others’ rights through extensive investigations, domain name enforcement and registration, preparation of notice letters, commencement of litigation, and recordation of intellectual property rights with US Customs and Border Protection (CBP). We also zealously defend our clients against claims asserted by others. Our attorneys draft, negotiate, implement and administer all types of agreements, including transfer, sponsorship, endorsement, distribution, sourcing, consulting, retail store and in-store, export customer, manufacturing and other commercial agreements. 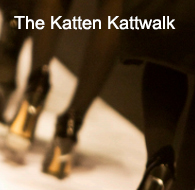 By developing, investigating and researching a client’s intellectual property portfolio, reviewing existing agreements, recording proper title and security interests and preparing all related documents, Katten attorneys shepherd clients through the ever-changing fashion industry. Defense of Mansur Gavriel in a trademark registration, where the owner of a jewelry mark opposed our client’s registration of MANSUR GAVRIEL for handbags and wallets. The TTAB dismissed the Section 2(d) opposition, finding the plaintiff failed to prove priority and the marks were not confusingly similar. Royal Chain Inc. v. Mansur Gavriel LLC. Trademark litigation counsel to Arcadia Group Brands Ltd. in connection with protecting TopShop, one of the most famous brands in fashion with a tremendous international value, through ongoing federal litigation in the United States (with related actions pending abroad) and by dealing with rights to a mark which achieved fame overseas before substantial recognition was reached in the United States. Katten represented Arcadia against Slovenian company Studio Moderna in a matter involving rights to TopShop for retail services in the United States. Representation of Phillips-Van Heusen Corporation in opposition proceeding involving famous Izod and iPod trademarks. Phillips-Van Heusen Corporation v. Apple Inc. Representation of Helmut Lang New York LLC in a UDRP Complaint filed with the WIPO Arbitration and Mediation Center. A third party had registered a domain name incorporating our client's federally registered HELMUT LANG trademark and was using such domain name in connection with a website that sought to intercept and siphon off Internet traffic intended for our client's products. WIPO held in favor of our client and ordered that ownership of the domain name at issue be transferred to our client. Representation of HMX, LLC, the purchaser of the intellectual property assets of Hartmarx Corporation (and its successor entity XHM Corp), in a bankruptcy court sale and transaction in connection with litigation against Pusser's (2001) Ltd. Specifically, Katten commenced a proceeding in the US Bankruptcy Court for the Northern District of Illinois by filing a motion to compel compliance with the sale order issued by the bankruptcy court. The sale order included the transfer, free and clear of all claims, of intellectual property and trademarks, including the Pusser's trademarks, trademark registrations and related goodwill. Pusser's had attempted to interfere with the client's ownership of and right to use and exploit the Pusser's trademarks it acquired as a result of the bankruptcy court sale order. This interference included filing a challenge before the TTAB. The bankruptcy court granted HMX's motion to compel compliance, and ordered Pusser's to dismiss its proceeding commenced before the TTAB. Representation of The Warnaco Group, Inc. in a series of transactions, resulting in the formation by the client of a new joint venture for the sale of Calvin Klein apparel and accessories in India. The joint venture was formed together with Brand Marketing India, a current distribution partner of the client. Representation included strategic evaluation and direction concerning the form and format of the transaction; coordination with corporate and tax counsel; preparation of all intellectual property documents; and preparation, editing and finalizing all trademark license agreements, extensions and amendments. The transaction also involved the extension and amendment of multiple license agreements and related agreements with Warnaco's licensor, Calvin Klein, Inc. Successful representation of The Warnaco Group, Inc. and Calvin Klein Trademark Trust in connection with a UDRP complaint filed with the WIPO Arbitration and Mediation Center. A third party had registered five domain names incorporating the client's federally registered Calvin Klein trademark and was using those domain names to intercept Internet traffic intended for the client's products, misdirecting them to sites selling unauthorized products bearing the client's trademarks. WIPO held in favor of the client on all three prongs of the UDRP complaint, and the domain names at issue were ordered to be transferred to Warnaco Group, Inc. Successful defense of Speedo USA, the US distributor of the Speedo brand swimsuit, in a false advertising, Lanham Act, antitrust and unfair competition case brought by a competitor in connection with the marketing and promotion of the Speedo LZR, the revolutionary competitive racing suit worn by more than 70% of the medalists at the 2008 Summer Olympics in Beijing. Plaintiff, Speedo's primary competitor in the sale of competitive racing swimsuits, sued Speedo in the US District Court for the Central District of California for false leading advertising, Lanham Act violations, monopolization, exclusive dealing and other alleged torts. Plaintiff claimed that Speedo misrepresented the test results of swim time improvements achieved using the LZR Racer. Plaintiff also claimed that Speedo's sponsorship of USA Swimming—the national governing body for amateur swimming in the United States—and its head coach gave Speedo an unfair advantage in marketing its suits to elite swimmers and other swimmers who race. After a motion to dismiss, in which some of plaintiff's claims were dismissed, the parties engaged in extensive discovery. After two motions for summary judgment, plaintiff's remaining claims were dismissed. Plaintiff did not appeal. Tyr Sport, Inc. v. Warnaco Swimwear, Inc., dba Speedo USA. Representation of a brand development and licensing company that owns various trademark rights relating to a deceased iconic celebrity as plaintiff in the US District Court for the Southern District Court of New York; Katten's client asserted claims for trademark infringement, trademark dilution and unfair competition by a New York City-based manufacturer and wholesaler of intimate apparel through the use of the celebrity's image and attributed quotes without a license. A consent judgment was entered in favor of our client and parties reached a settlement. Representation of an apparel retailer and designer in connection with a license agreement pursuant to which the licensee was granted the right to manufacture, distribute and sell certain men's women's, children's and unisex apparel and accessories under certain client brands in the People's Republic of China (including mainland China, Hong Kong and Macau), and the right to open freestanding stores and shop-in-shops under the client's name in the People's Republic of China. Representation of one of the world's largest apparel companies in connection with establishing a joint venture that will license from its wholly owned subsidiaries the rights to operate and manage the distribution of client-branded products in Mexico. Representation of a leading performance apparel and accessories brand focused on temperature-control technologies in connection with its negotiation of a brand ambassador agreement with an actress and recording artist who became the face of the client’s newly launched women’s apparel collection. Representation of a fashion house in negotiating model contracts for the lead actors of a 2017 Academy Award-winning picture to star in the client's new advertising campaign for underwear. Representation of a fashion house in connection with its global intellectual property portfolio, including with respect to trademark and copyright prosecution and enforcement matters such as a worldwide branding and style expansion, acquisition of third-party property and comprehensive integration of a brand portfolio. Representation of a fashion house in connection with its exploitation of its historical association with a model/actress and a photographer, including the simultaneous completion of agreements with each that support the use of a new logo design, graphic and artwork for jeanswear. Representation of an apparel retailer and designer in connection with its completion of new licensing arrangements for broad categories of skincare and makeup products, initially in Asia, and then for domestic sale and promotion. The transaction involved complicated structural coordination for the brands, manufacturing and licensed territories, as well as coordination with other related agreements. Representation of an international fashion house in a dispute in the Netherlands relating to competitor allegations that strips on the coin pockets of our client’s jeans infringed plaintiff’s pocket strip. Working with local Dutch counsel, Katten defeated plaintiff’s effort to obtain a temporary restraining order, with the courts finding that there was no infringement. Representation of a luxury hip hop sneaker designer in obtaining multiple design patents for leatherwear and worldwide trademark registrations for a design and logo. Representation of an American fashion house in licensing its watch line, giving another company permission to manufacture and sell watches bearing the client’s brands. The licensee experienced some issues that warranted review with counsel as to best practices. Representation of an apparel retailer and designer in enforcing a family of marks against use of a similar mark in a sneaker collaboration between a fashion house and a rapper. Is Offering of a Service Use of a Mark?